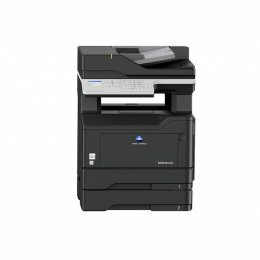 The Konica Bizhub 3622 Copier is an all in one solution offering copy, print, scan and fax functions. 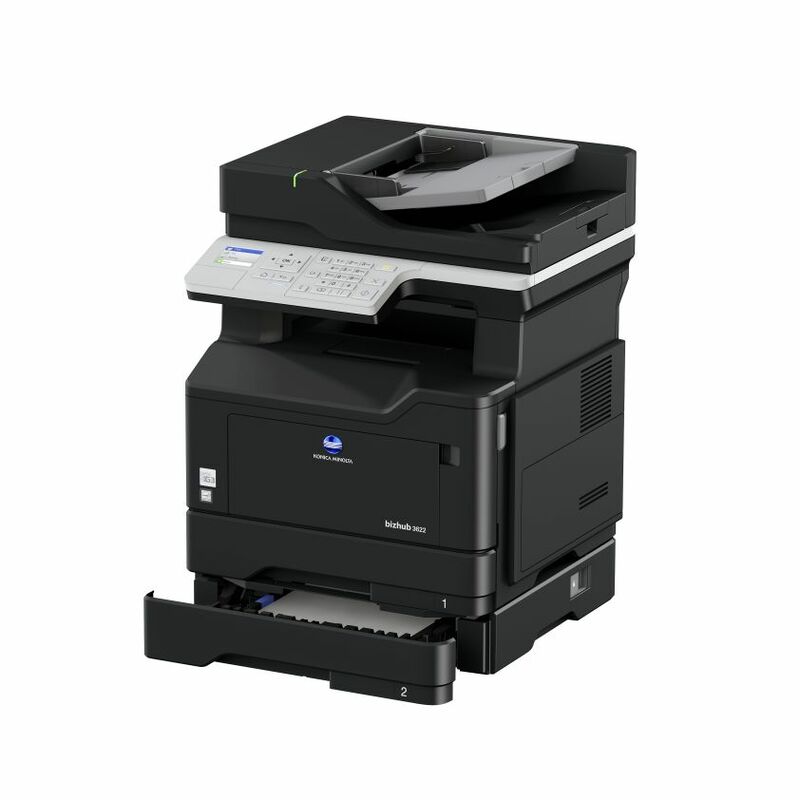 The Konica 3622 MFP delivers output as fast as 38 ppm, with 350 sheet paper capacity, expandable up to 900 sheets. 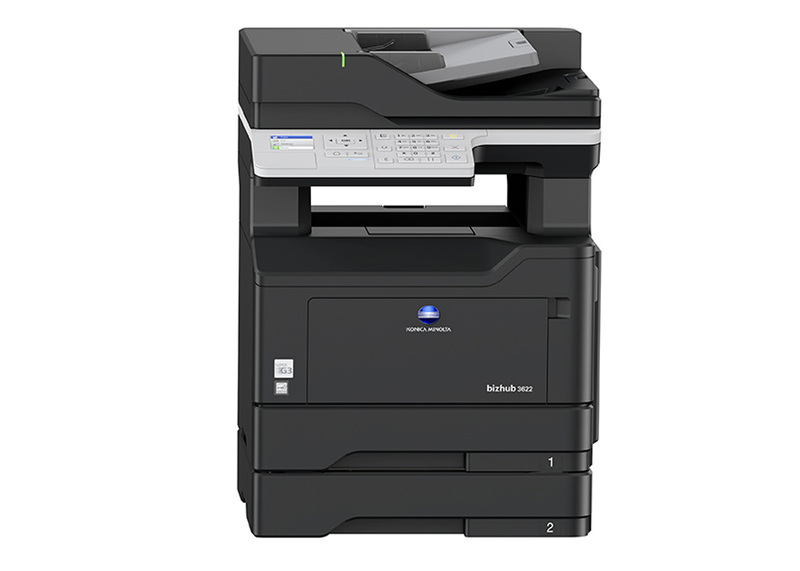 Enjoy auto duplex, wireless connectivity and mobile support on the easy to use Konica Minolta Bizhub 3622 Multifunction Copier. System dimensions (H x W x D) 15.7" x 16.9" x 18.4"
1st copy out time 6.5 sec. Warm-up time Approx. 90 sec. Original format 4"x6" to 8.5"x14"
DK-P02 Copier Desk Ensures ergonomic height and provides storage space for print media, etc. Make sure to include a stapling option if you need stapled copies. 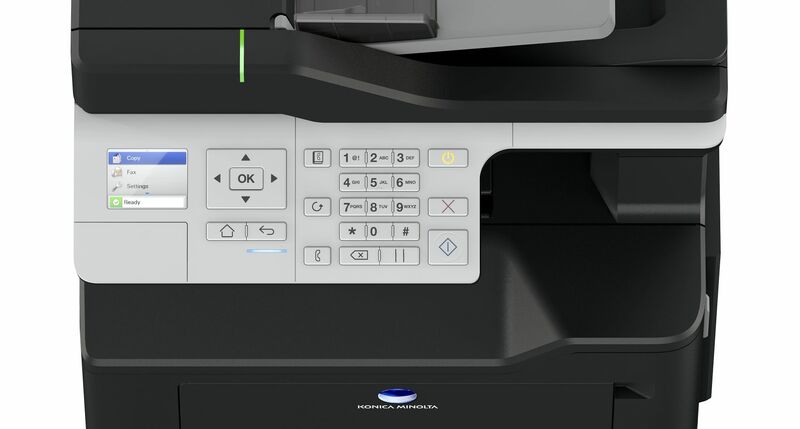 Do not store paper which you will use in a copier or printer in a damp or moist atmosphere – such as a basement, or near a window or sink.